Burglary or “housebreaking” is a crime that a lot of people are very worried about. Housebreaking accounts for 16% of all Crimes of Dishonesty recorded by Police Scotland. However, whilst there has been a significant decrease in the rate of housebreaking in the last 10 years nationally, the City of Edinburgh has bucked the trend. The City of Edinburgh has recorded an increase for two consecutive years, having increased by 67% since 2012-13 and 21% since 2013-14. This isn’t good news at all for us residents of Edinburgh. With winter drawing in and longer nights providing more cover for intruders, there are positive steps we can take to reduce the chances of being a victim of this crime. One of these is to install a home security system and specifically a burglar alarm. Having a burglar alarm deters intruders. They will look for the easy option. But burglars can spot a dummy alarm box and a DIY installed alarm a mile away and will not be put off. Act as a deterrent. It will reduce your chances of being burgled compared to your neighbours without one. The thief is looking for a house that will not present any obstacles to getting away scot-free. Reduce your insurance costs. 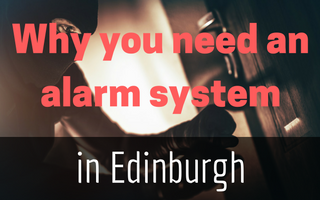 Having a professionally fitted alarm system can reduce your annual premiums. Keep your valuables safe. Some of the items that could get stolen can be replaced but there are plenty of family valuables which are irreplaceable (family heirlooms) and to lose these would be a huge loss. Keep your home safe whilst you are on holiday. An ideal time for burglars is during the school holidays when they know lots of people will take a break. A home security system which includes cameras which are linked up to the internet can provide you with peace of mind whilst on holiday. Your home can then be monitored remotely via your smart phone. Remove the responsibility from your neighbours of keeping an eye on your home whilst you are away. This means that you have a more reliable system in place and won’t make your neighbours feel bad if your house is broken into. 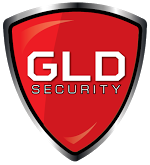 If you live in Edinburgh and are worried about your home security, get in touch with us here at GLD Security. We’ve 15 years in the industry and have installed home security systems in all types of homes and flats. We can provide free advice on what system would suit you best with no obligation at all. Protect your home and get peace of mind at an affordable cost.